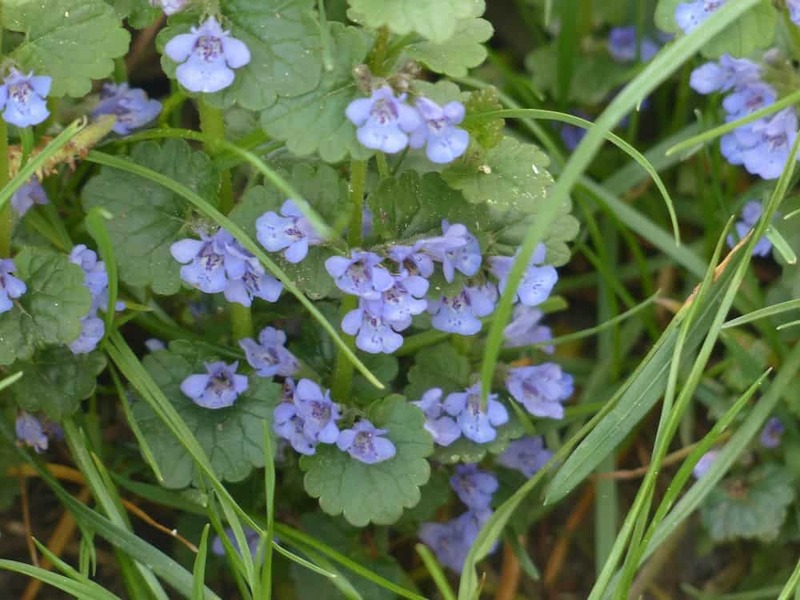 Ground Ivy, Glechoma hederacea, is a small, unassuming little plant. You might know it as “Creeping Charlie” or “Gill-Over-The-Ground”, or (if you’re from England) as “Alehoof”. It often grows low to the ground, spreading horizontally instead of vertically – but if it’s in an area that isn’t mowed too often, it’ll stand up for a quick look around, as in this photo. We tend to work with Ground Ivy as a tincture, preferably made from fresh plant matter, gathered when the plant is flowering (in 2017 in Boston, this happened in May). 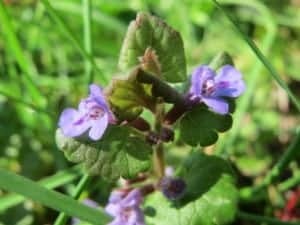 The key indication for Ground Ivy is as a targeted drying and draining herb, which acts on the the mucosa and lymphatic channels of the ENT (ear-nose-throat). When these fluids get backed up and stuck, it impairs the work of your immune system in the local area, allows inflammation to persist, and just makes you miserable! Ground Ivy is our favorite go-to remedy for the early stages of earache and sinus infections, especially indicated when there is fluid stagnation in the ears, sinuses, and ENT lymphatic vessels. At the first sign of earache, take a dropperful of tincture every fifteen minutes for one hour; then take a dropperful every hour afterwards for the remainder of the day – and get some extra rest! 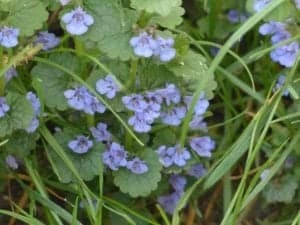 Ground Ivy helps ease headaches that arise due to stagnation of fluids in the sinuses and ears. What does that feel like? Stuffiness, pressure, heaviness. 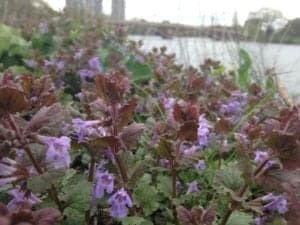 One client describe it like this: “your head’s wrapped in wet cotton and your brain’s trying to squeeze out of your eyes.” If you’re a phlegmatic or kapha type, this could be your standard, recurrent headache pattern: try Ground Ivy! This useful herb can also help substantially with some forms of tinnitus, though not all. Again, if there’s a feeling of fluid in the ears, Glechoma is very likely to help. If your tinnitus is due to too many rock concerts or jackhammers, it may not be as effective, but it’s always worth a try! We’ve had some surprising results. For these purposes, as mentioned earlier, we tend to use tincture. But you can eat ground ivy in salad, too! 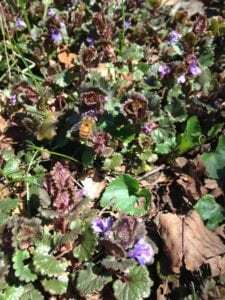 Make a note on your calendar to give that a try next May – mix it with Violets, Garlic Mustard, and Dandelion greens and have yourself a nice spring alterative wild salad! We think first of the ear-nose-throat when we think of Ground Ivy, but its talents do extend to other areas of the body also! Herbs that move lymph – lymphatics – tend to have a seat of activity: they don’t effect all lymphatic vessels equally. As an upper-body lymphatic, Ground Ivy exerts the majority of its action at the neck and above, but it does have some action in the chest and breast also. Because of this, it can help with stagnation conditions there, such as mastitis. It’s best combined with Red Clover and/or Violet for this purpose, as they have greater pectoral affinity. As with any lymphatic agent, all that drained fluid has to go somewhere! Ground Ivy has a diuretic effect due to the movement of these fluids toward the kidneys. It’s always a good idea to combine diuretics with lymphatics; with Ground Ivy, you get both in one herb! A short hot infusion (that’s “tea” to you newbies) is a good way to prepare Ground Ivy for these purposes. We’ve only made it from fresh plant, not dried, as it can be a little tricky to dry Ground Ivy in a humid environment like we have here in Boston. If you live in a dry climate (or have a dehydrator), though, you may want to give it a try. Fresh plant tea is quite tasty! It’s “green” in a similar way to Nettle or Dandelion leaf, not particularly bitter, and mildly aromatic. This might be literally true, as in the case of tinnitus, or metaphorically true – as when emotional or mental discomforts are making it difficult to listen to another person. For this latter case, Ground Ivy flower essence is indicated. Its lovely little flowers remind us of those old Victorian ear trumpets the hard-of-hearing used to use. Sometimes, there are even tiny little earwax-colored bugs living in the flowers! (That’s fascinating to you too, right? It’s not just us . . . right?) In any case, we’ve found it useful for those who are having difficulty with the receptive aspects of communication, who are having trouble understanding another’s point of view because they can’t quite bring themselves to acknowledge it at all. Ground Ivy relaxes some of that resistance and allows the listener to hear other viewpoints without their own hangups getting in the way. So if you need a little help hearing – literally or figuratively – give Ground Ivy a try! 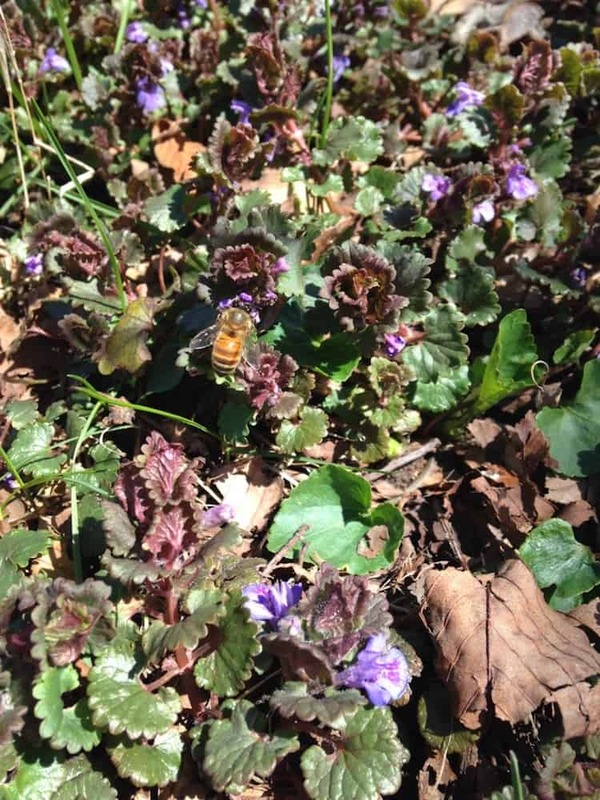 How will YOU work with Ground Ivy this year? Want to learn more about Ground Ivy and the other herbs mentioned in this post? Check out the Materia Medica course module and learn all about more than 85 herbs for YOUR Herbal Toolbox!